Last Spring Concert this Friday! We’ve had a great run of concerts so far this spring – and your last chance to catch Sensations of Spring is this Friday at Three Rivers’ Ringers “home base” – Mt. Lebanon United Methodist Church! Don’t miss it! 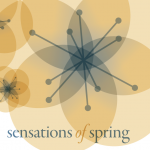 Celebrate the sights and sounds of spring at Sensations of Spring, Three Rivers Ringers’ Spring 2018 Concert Series. Pittsburgh’s premier handbell ensemble will play entrancing music of springtime across many genres. You’ll hear Burt Bacharach’s Raindrops Keep Fallin’ on My Head, Frank Sinatra’s Fly Me to the Moon, The Muppets’ The Rainbow Connection, and much more, including some of our favorite classical and spiritual pieces. Come ring in the spring with Three Rivers Ringers!